Everybody will want LoveLife,Everybody will want to meet Their True Love,Everybody will want Happily Ever after in the story,Everybody will want Together lasting,Everybody will want comfortably and without interruption to their story, But .. How do you do?What if he didn't accept you as you are?What if he can't love you?What if he can't be your lasting?How much against your love story? and ...What if you expect Happily Ever After is Gone just like a bubbles?Do You still love him...?or will you fight the LOVE ?or will you Finish your Revenge? 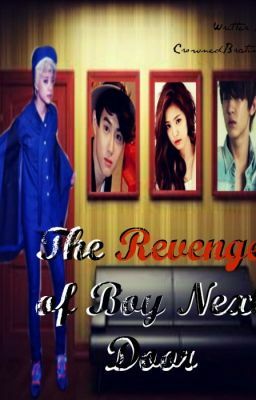 "The Revenge of Boy Next Door".